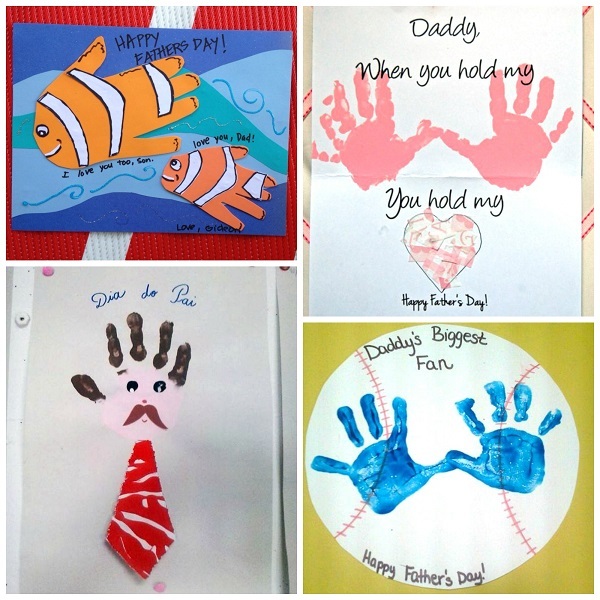 Here are some of my favorite homemade Father’s Day cards for kids or adults to make! 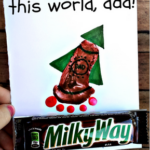 Who wants to spend $4-5 on a pre-made card when it’ll just end up in the trash? 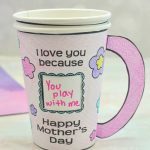 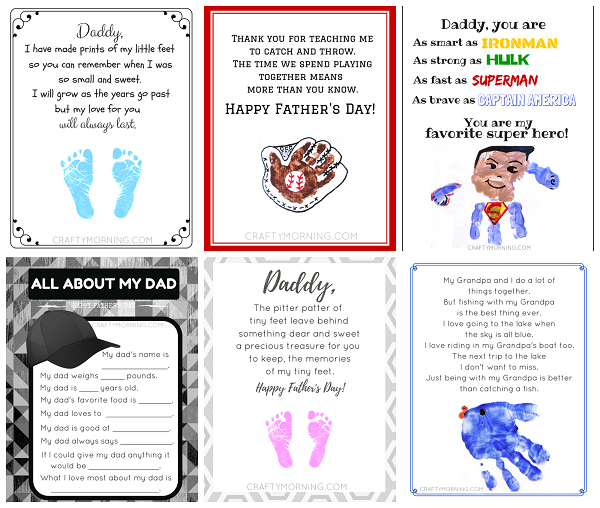 Dads will treasure these cards as they are made with their children’s love! 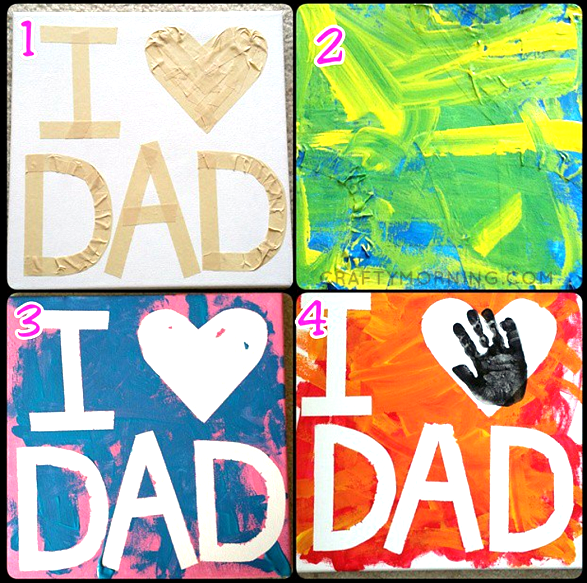 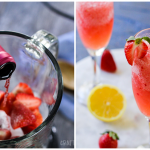 Just click on the text or photo to see how to make it with step by step instructions! 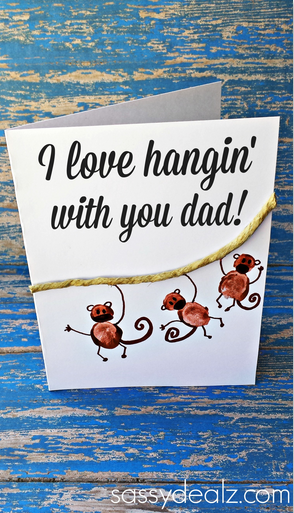 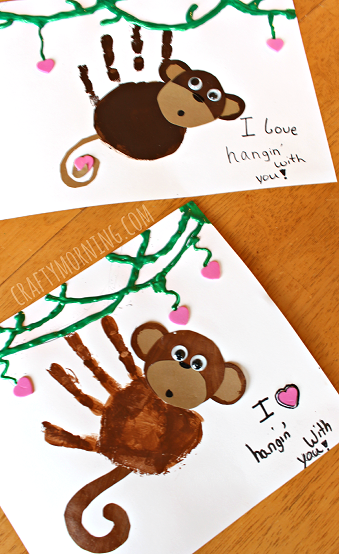 Have your kids dip their fingers in paint to make some cute monkeys hanging on a rope! 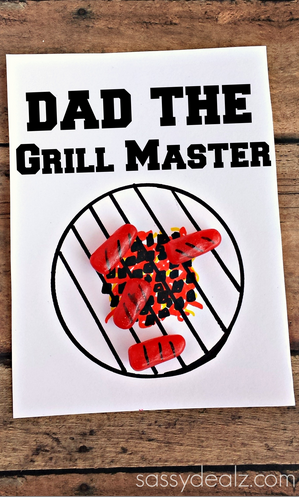 Using mike and ike candy you can turn them into little hot dogs roasting on a grill for dad! 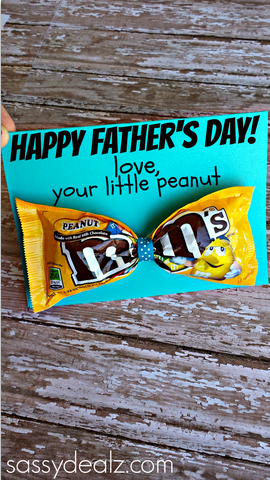 Shape a bag of m&ms into a tie for a cute Father’s day card! 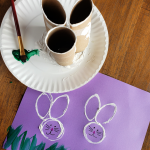 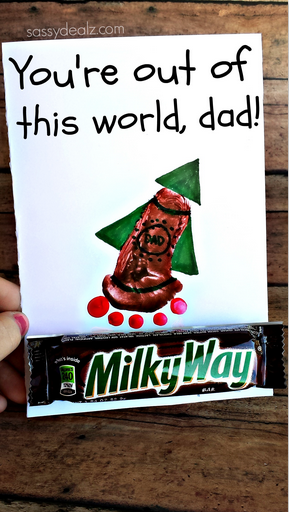 Have your kids make a footprint rocket and stick on a milky way candy bar to make a creative card! 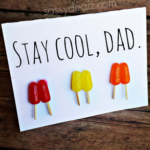 Use some mike and ikes to make little popsicles for a Father’s Day card! 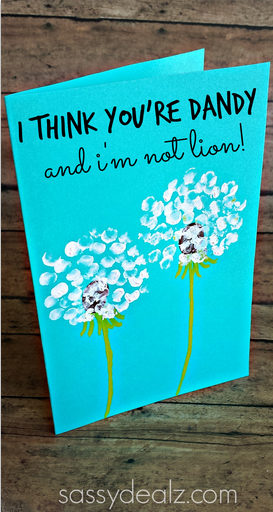 Have your kids dip their fingers in paint to make these cute dandelions! 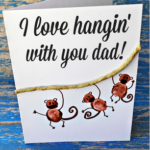 If you have an empty laughing cow cheese container, you can make this fun gold metal card for dad. 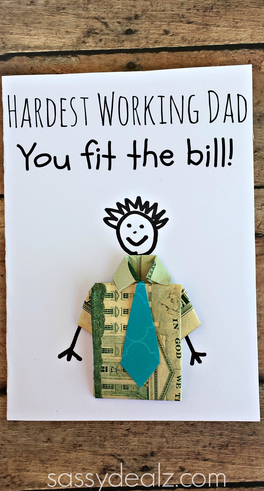 Turn a twenty dollar bill into a t-shirt for a father’s day card! 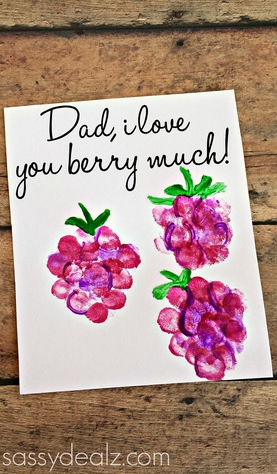 Have your kids make berries with paint and their fingerprints! 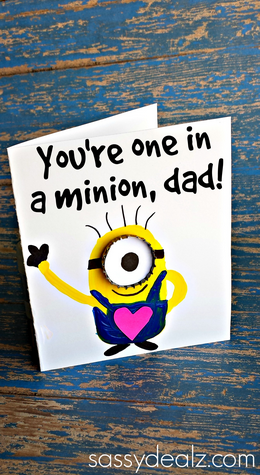 Paint a minion and glue on a bottle cap to make a Father’s Day card! 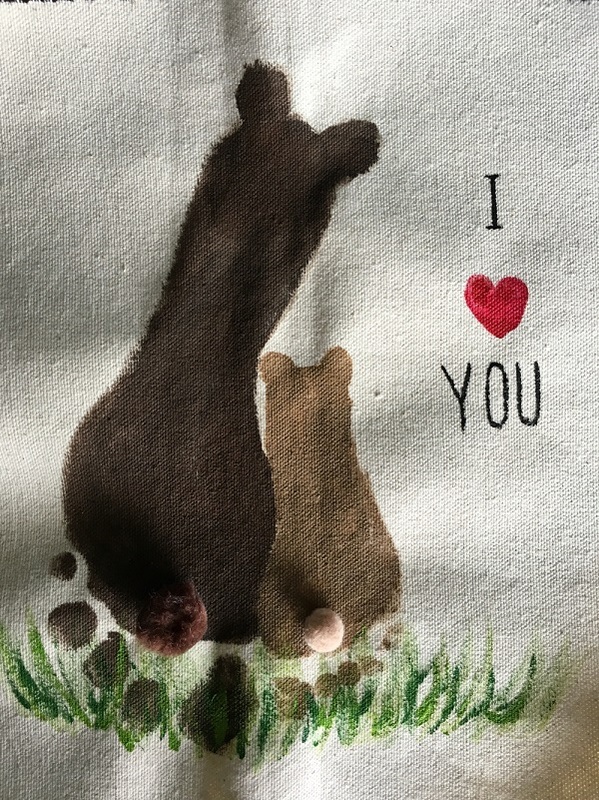 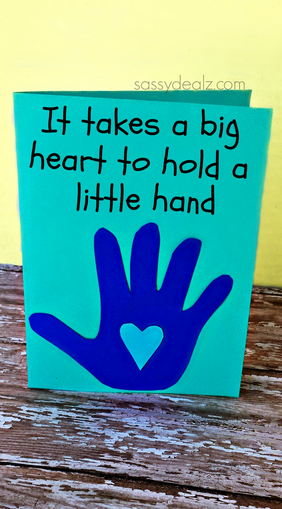 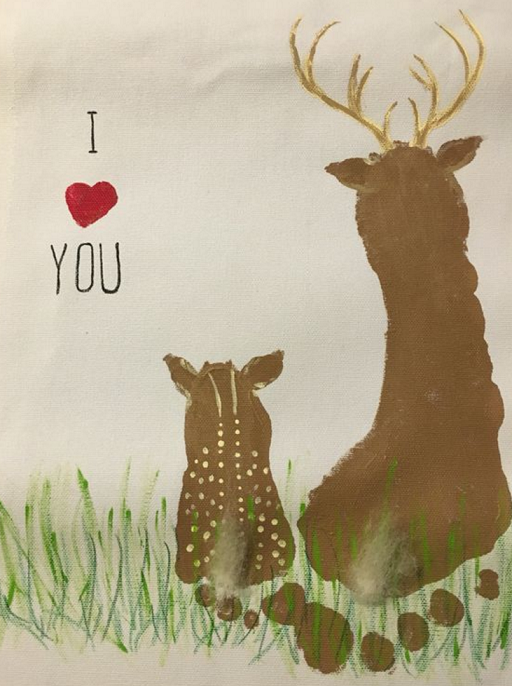 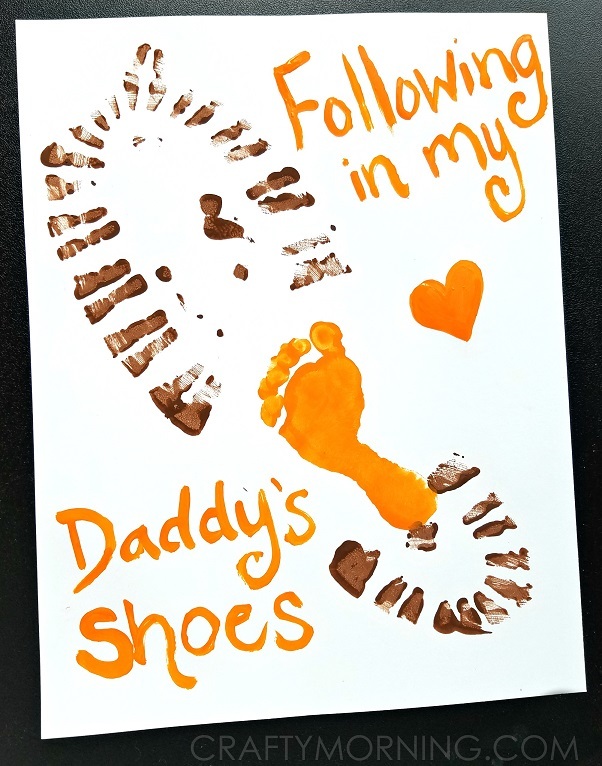 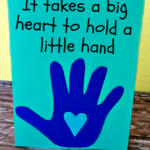 Trace your child’s handprint to make this adorable card. 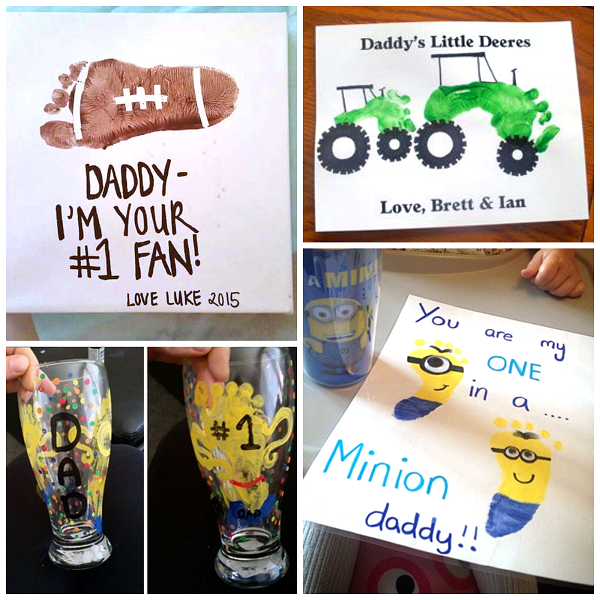 Paint your child’s hand to make a football print! 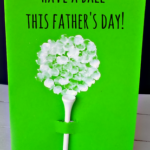 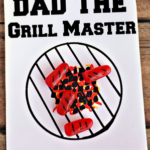 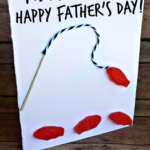 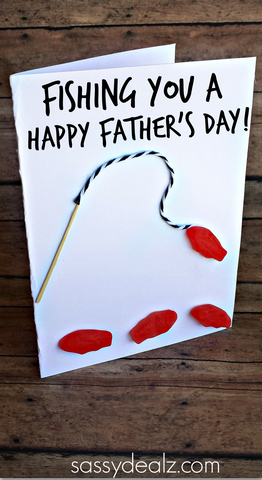 Using some swedish fish candy you can make a cool card for dad! 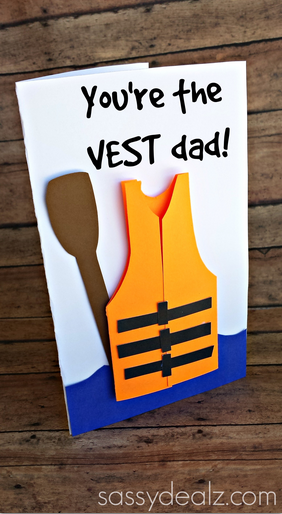 For the dads who love boating or canoeing! 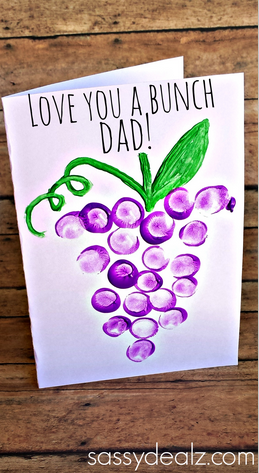 Make a bunch of grapes with kids thumbprints and purple paint! 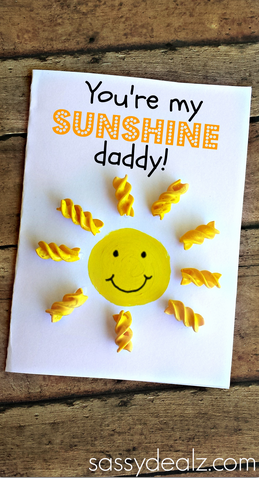 Grab some noodles from the pantry and make a cute sun to brighten up daddy’s day! 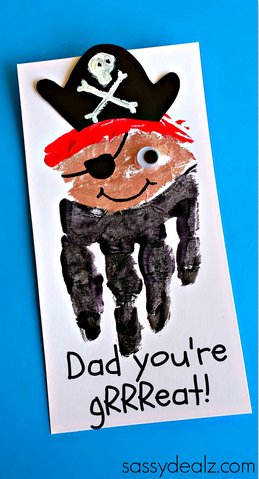 Paint your child’s hand to make a pirate…it’s perfect for telling dad how gRRReat he is! 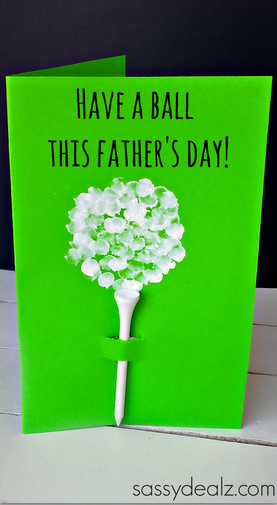 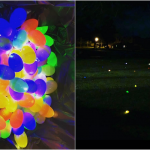 Have the kids use their fingerprints to make a golf ball on top of a tee! 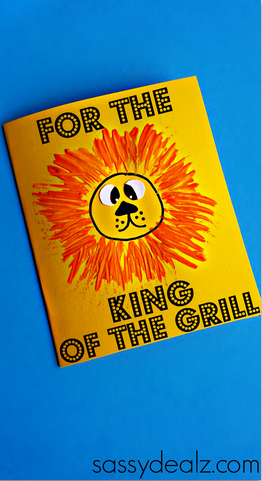 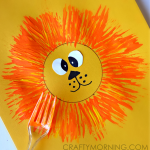 If dad or grandpa is a grill master, make a lion using a fork and orange paint! 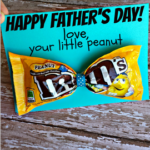 These are the cutest card ideas, ever! 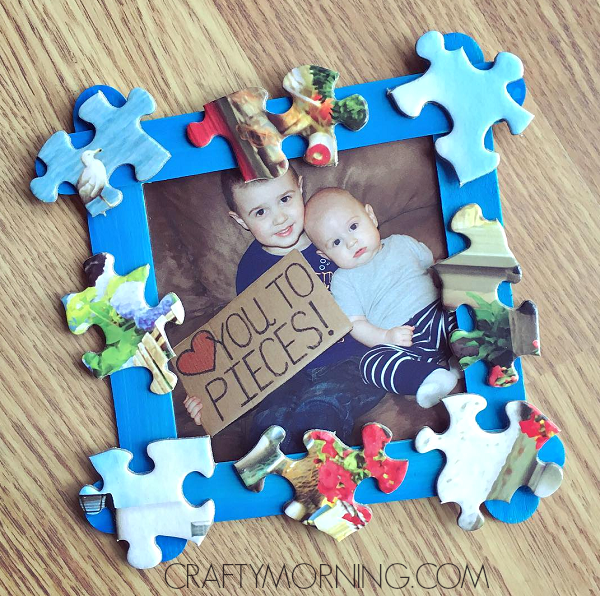 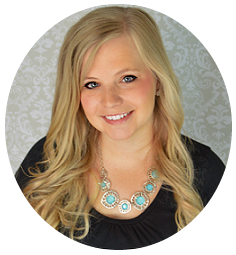 Love what you did with items easy to find or inexpensive, which is awesome! 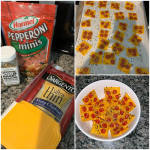 I will have to try these and show you how mine come out :) New follower and excited to see all your fun creations.